Mount Jefferson rises abruptly to more than 1,600 feet above the surrounding landscape, serving as a landmark for area motorists. 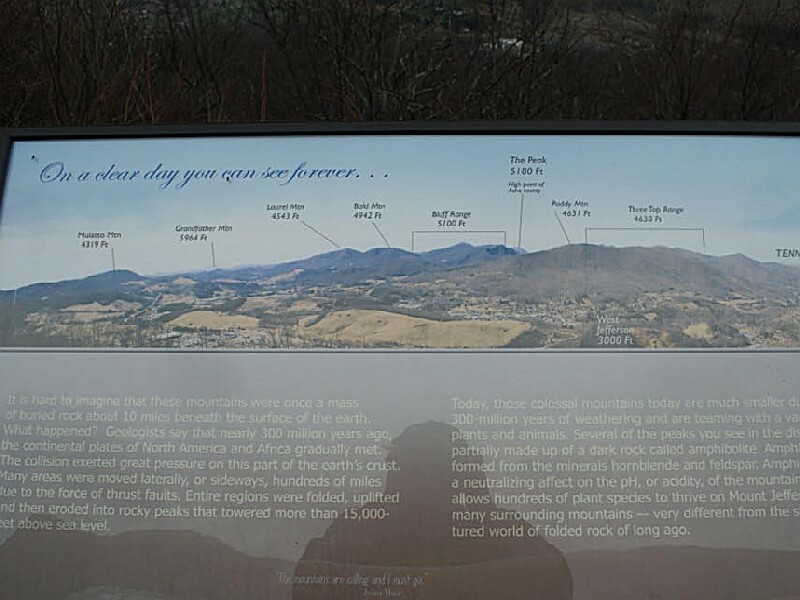 Acquaint yourself with this mighty peak by viewing it first from the Mount Jefferson Overlook on the Blue Ridge Parkway. Rising as a long, forested prominence, its dark color is conspicuous among neighboring peaks on the Ashe plateau. Though the mountain is magnificent from a distance, Mount Jefferson is best appreciated up close. On a clear day, you can see for miles from its peak. 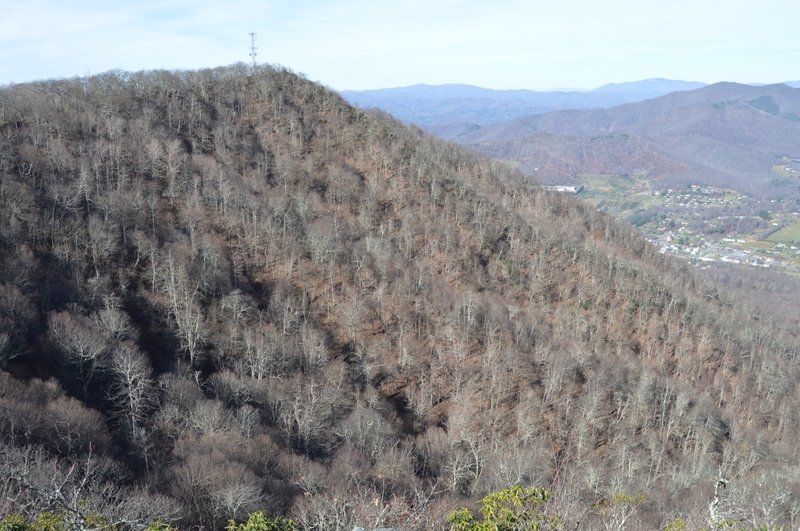 A great part of Ashe County spreads out below fields, farms, forests and mountains mingle in kaleidoscopic patterns. 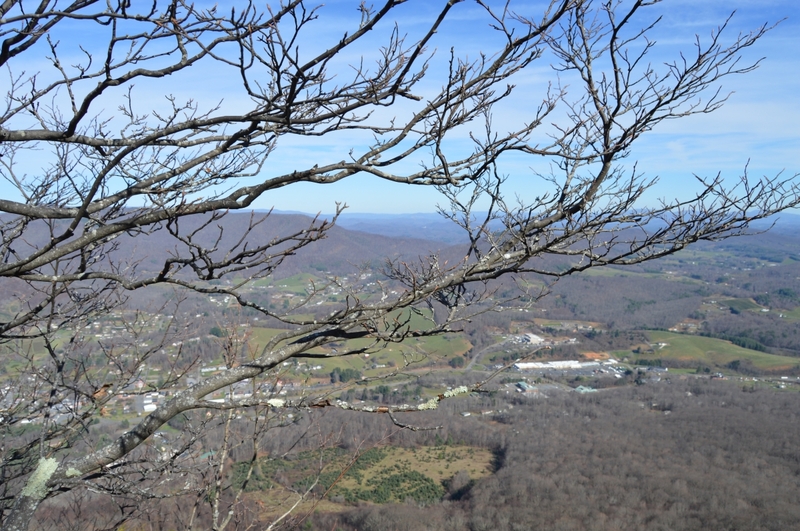 On the horizon, the Blue Ridge Mountains form a striking backdrop. Yet what looms in the distance is no more spectacular than what is right before your eyes, for the forests of Mount Jefferson are a botanical paradise. The interesting and unusual plant life of the park rendered it worthy of designation as a national natural landmark. Mount Jefferson State Natural Area is a botanical paradise. The slopes and summit of the mountain are home to a diverse population of trees, shrubs and wildflowers. This large variety of interesting and unusual plants qualified the area for designation as a national natural landmark by the National Park Service in 1974. The forests of the area vary with the altitude and the direction of the slope. At altitudes above 4,000 feet, an oak/chestnut forest dominates the slopes facing south, east and west. This forest is one of the best examples of its type in the southeastern United States. Beneath the canopy of oak is an understory of Catawba rhododendron, mountain laurel, flame azalea and dogwood. Wildflowers include trillium, pink lady slipper and false lily of the valley. Until the early 20th century, American chestnut trees were abundant in the area. The chestnut's rot-resistant wood was immensely valuable to early settlers for the construction of buildings and fences, and its large, sweet nuts provided food for humans and animals. Tragically, the chestnut blight, introduced from Europe in 1910, destroyed the species here and elsewhere. At the summit of Mount Jefferson, ghostly trunks stand sprouts rise from the diseased roots and thrive until maturity when they become susceptible to the blight. 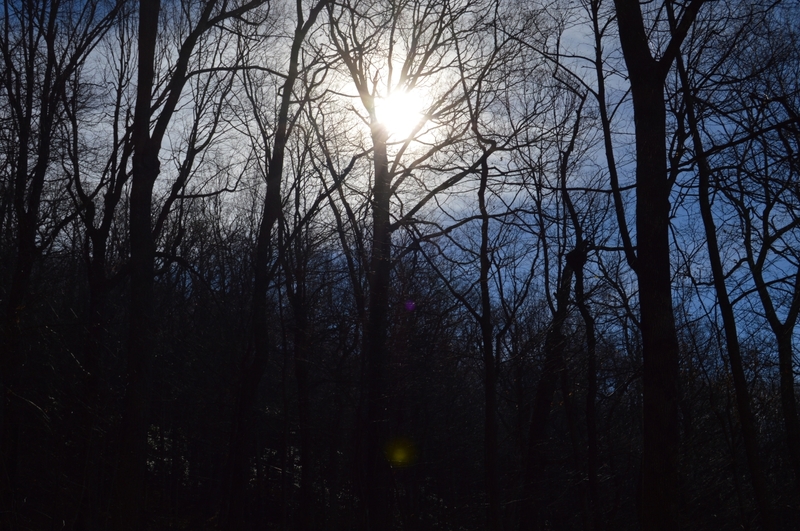 On the north slopes, a cove forest includes red maple, yellow birch, tulip tree and basswood. In the understory are mountain ash, prairie willow, black huckleberry and mountain pepperbush. Hobblebush, mayapple, blue bead lily and other shrubs and herbs cover the forest floor. On the slopes below Luther Rock is a stand of big-toothed aspen trees. The big-toothed aspen is primarily a northern plant, found in North Carolina only in Ashe and Haywood counties. Trees growing on the northern ridges and slopes of Mount Jefferson are gnarled and dwarfed, averaging only about 20 feet. Their growth has been stunted by exposure to strong northerly winds and heavy loads of ice in winter. The animal life of the natural area has not been as well studied as the plant life but is typical of the western part of the state. Red squirrels, locally known as boomers, live in forests near the peak. Several species of small mice, including deer mice, and southern red-backed voles are also common. Bird life in these high-altitude forests includes several species not seen at lower elevations. Lucky visitors may catch a glimpse of a red-tailed hawk, the most common hawk in the area. Chestnut-sided warblers, Canada warblers and black-throated blue warblers, as well as rose-breasted grosbeaks, slate-colored juncos and white-breasted nuthatches nest in the woodlands. Their melodies are often heard with the song of the veery at dusk and dawn. The wing beats of flushed ruffed grouse often surprise hikers along the trail. The park's mature deciduous forests are home to many common mammals, including gray squirrels, southern flying squirrels, eastern chipmunks, red foxes, raccoons and Virginia opossums. Shrews, moles and mice also make their homes in the middle altitudes. Woodchucks and an occasional white-tailed deer inhabit the forest edges. Reptiles, such as skinks and small snakes, travel in and around rotting logs and other places offering food and seclusion. Mount Jefferson lies along the drainage divide between the north and south forks of the New River?one of the oldest rivers in North America and in the world. This drainage system had an important influence on the size and shape of the mountain. Mount Jefferson and its nearby peaks are remnants of a once lofty, mountainous region that existed throughout much of the western part of the state. Weathering and the erosive action of streams throughout millions of years wore away the softer, less resistant rocks. More resistant rocks, including the amphibolite and metagraywackle of Mount Jefferson, were slower to erode. These and other rocks comprise the peaks standing above their surrounding plateau. 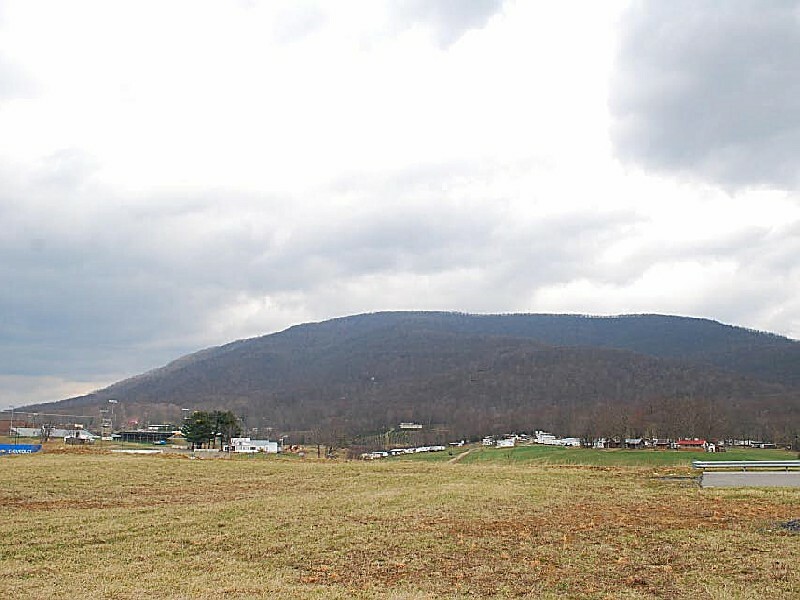 Though there is no evidence of permanent Native American settlements in the Ashe County area, game was plentiful and both the Cherokees and the Shawnees claimed it as a hunting ground. The first settlers in the area were from Virginia. 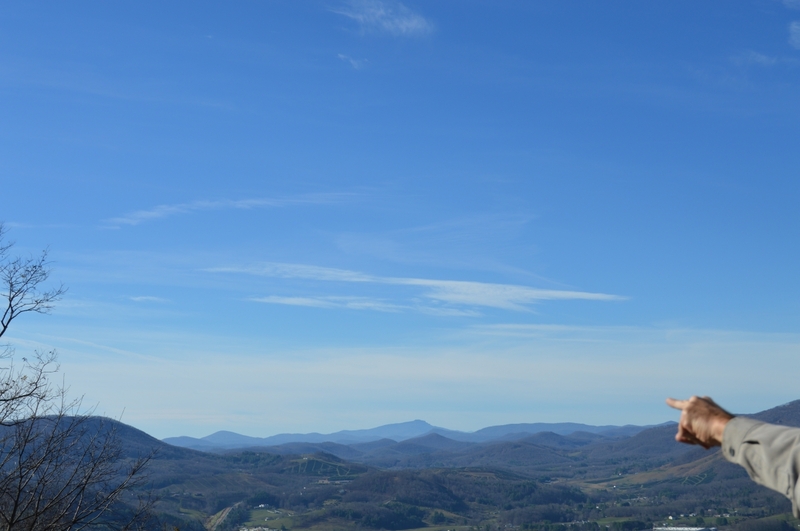 Few North Carolinians, other than adventurous individuals like Daniel Boone, had ventured westward beyond the Blue Ridge Mountains. Before the revolution, Mount Jefferson was known as Panther Mountain, perhaps because of a legend that tells of a panther that attacked and killed a child there. Area residents gave the mountain other names until 1952 when Mount Jefferson received its official name. 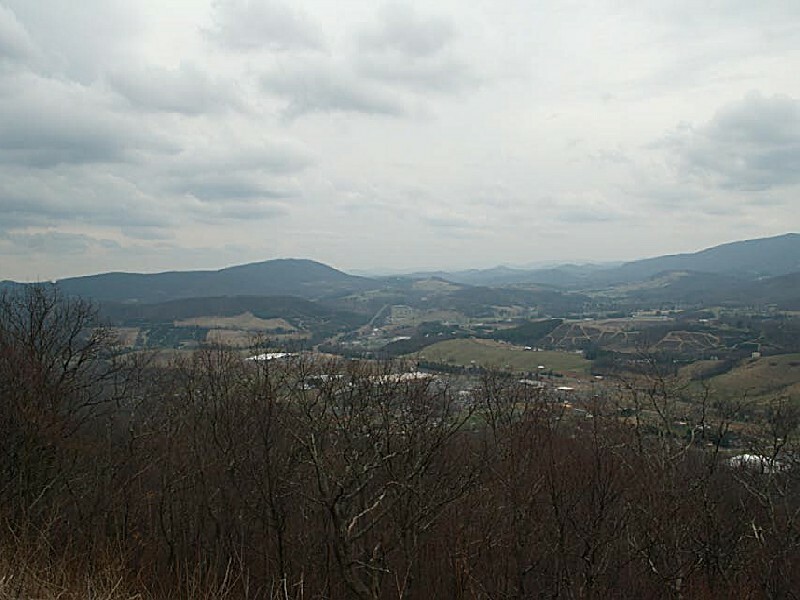 The mountain's name was chosen in honor of Thomas Jefferson and his father, Peter, who owned land in the area and surveyed the nearby North Carolina-Virginia border in 1749. Around the time of the Civil War, legend holds that the "caves" beneath Mount Jefferson's ledges served as hideouts for escaped slaves traveling to freedom on the Underground Railroad. It wasn't until the 1930s that people took an interest in creating widespread access to the mountain. Mount Jefferson State Park had its beginnings when the Works Progress Administration constructed a road of little more than two miles to the summit of Mount Jefferson. In 1939, local officials wanted to have the road improved, but the state could not provide funds for a private road. Thus, two prominent local citizens donated 26 acres of land for a public park and thereby attained the road improvements. In 1941, efforts to have the local park accepted as a state park failed, and in 1952 the area became a state forest wayside park. Continued efforts to attain state park status were unsuccessful as standards adopted in 1955 required that a state park contain a minimum of 400 acres. Undaunted by continuous obstacles, local citizens obtained a 300-acre donation and succeeded in raising funds to buy an additional 164 acres for the park. As a result of their determination, Mount Jefferson became a state park in October 1956. 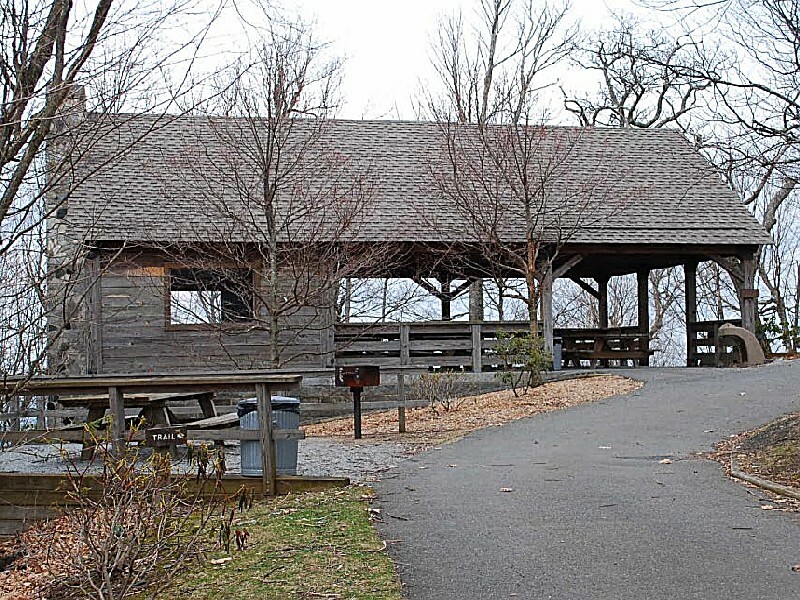 The picnic area is located in a beautiful wooded location near the summit of Mount Jefferson. Facilities include 19 tables and eight grills. Also included is a six-table handicapped-accessible picnic shelter with a fireplace, large grill and drinking fountain. The shelter may be reserved. Restrooms (not handicapped accessible) are located nearby. Northern red and chestnut oaks provide a shady spot for picnicking. Chipmunks, woodchucks, squirrels and ravens are often seen nearby. An investment of little more than an hour's time offers a high return as the beauty and diversity of the park are best seen while hiking along its trails. Spectacular views of the surrounding countryside and a closer look at the park's vegetation are just a small part of the rewards reaped from a walk in this mountain forest. Summit Trail: Beginning at the parking lot, Summit Trail passes through the picnic ground and ascends 0.3 miles to the highest point on Mount Jefferson. Nearby overlooks provide panoramic views that make this gentle hike a pleasant excursion. Rhododendron Trail: The trailhead for this strenuous 1.1-mile hike is near the terminus of the summit trail. Self-guiding trail booklets can be found at the trailhead. They provide information about points of interest at each of the numbered stations. The trail is most beautiful in early June when the magnificent purple-flowered Catawba rhododendron is in bloom. The self-guided Rhododendron Trail follows a ridge southeast along the crest of the mountain from the summit to Luther Rock, an outcrop of metamorphosed amphibolite. This black volcanic rock is what gives Mount Jefferson its dark appearance. Here, hikers may look back along the horseshoe-shaped ridge to the summit and tower. Beyond is a spectacular view of neighboring valleys and peaks. On clear days, the New River is visible to the east. Bluffs extend along the ridge below the trail where outcrops of amphibolite are visible in winter. The return segment of Rhododendron Trail descends the south side of the mountain. As this area is less exposed to the frigid winds of winter, the trees are somewhat larger than those on the ridge. The trail returns to the picnic area parking lot through a rare virgin forest of large northern red oaks and skeletons of American chestnuts. Rangers hold regularly scheduled educational and interpretive programs about Mount Jefferson State Natural Area. To arrange a special exploration of Mount Jefferson State Natural Area for your group or class, contact the park office. Mount Jefferson has a rich natural and cultural history, and the area has played an important role in the community. By special request, park rangers and/or local historians can guide you through the natural and cultural history of Mount Jefferson. Educational materials about Mount Jefferson State Natural Area have been developed for grades 5-7 and are correlated to North Carolina's competency-based curriculum in science, social studies, mathematics and English/language arts. The Mount Jefferson program introduces students to basic geologic processes, rocks and minerals of the area. Accompanying the program is a teacher's booklet and workshop, free of charge to educators. 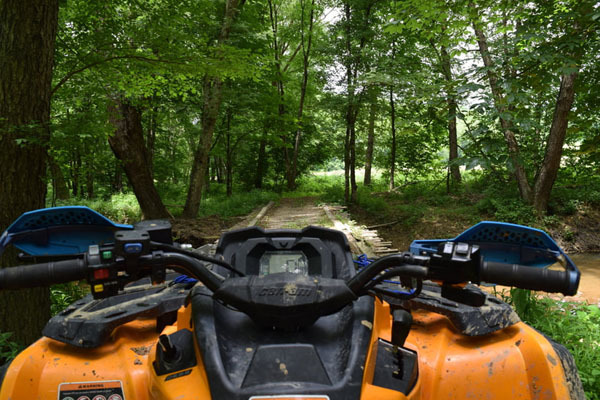 Enjoy wooded trails, old farm fields, valley views along Bull Head Mountain, and southern hospitality. Whether you are an experienced cowboy or a little green, our skilled staff and gentle horses make for a pleasant visit. Also offering overnight camping trips with breakfast prepared the next morning. Call for reservations. I think I can also see Mt Jefferson from US 421 near Boone, can anyone confirm? Over 700 identified species of vascular plants. Designated a National Natural Landmark. Created by donations of land in 1956. This park is unique to the state of North Carolina. Host for an annual student poetry contest judged by the state poet laureate. One of the earliest NC state parks. Unusual plants and fascinating history. It would be an incredible shame if it closed, and a huge loss to the county, in terms of both economical and recreational benefits. Perfectly situated atop of the Little Brushy Mountains sorrounded by vistas of lovely green pastures, the Great Escape is a retreat unlike many others. The peae and serenity is unlike no other and it gives you that chance to unwind and relax. Pets must be on an attended leash no longer than six feet at all times. Pets must not be left unattended. Campers must confine pets to enclosed vehicles or tents during the park's quiet hours. Pets are not allowed in bathhouses, changing areas, rinsing stations, swimming beaches, protected swimming areas, restrooms, cabins, visitor centers or rental boats. Exceptions are service animals and authorized search and rescue dogs. Pet owners are responsible for cleaning up after their pets. Pet owners may be asked to remove dangerous or noisy pets from the park. All pets within the park must have a current rabies vaccination. Pack animals, including llamas, alpacas and goats are not allowed in any park except by Special Activity Permit. Mount Jefferson State Natural Area is in Ashe County on the US 221 Bypass between the towns of Jefferson and West Jefferson. Traveling west on I-40 from Greensboro, or from I-77, take US 421 west past the Blue Ridge Parkway. Turn right on US 221 and travel north. After crossing the intersection with NC 163, follow the signs to the park by turning right on S.R. 1152, which leads into the park. Traveling east on I-40 from Asheville, take US 221 north through Boone. After crossing the intersection with NC 163, follow the signs to the park by turning right on S.R. 1152, which leads into the park.